Smart, strong, and determined, college senior Sawyer (Hermione Corfield) is no victim. But she is someone who finds herself in the wrong place at the wrong time in Jen McGowan‘s tense survival thriller “Rust Creek” — and what happens as a result will ensure that you never leave home without rock-solid directions (or a backup phone battery) again. While driving to a job interview, Sawyer follows her map app’s routing suggestions to avoid traffic, only to end up hopelessly lost in the Kentucky woods. She doesn’t panic until creepy brothers Hollister (Micah Hauptman) and Buck (Daniel R. Hill) show up and start menacing her — and then she proceeds to put up a hell of a fight, wounding both of them and fleeing into the forest to get away. Sawyer manages to stay ahead of her pursuers, but eventually exposure and her own injury take their toll, and she passes out … only to wake up at the mercy of Lowell (Jay Paulson), a meth-making loner who doesn’t seem to want to hurt her but also won’t let her go. The plot takes several more twists and turns from there — some expected, some less so. While the pace of the film’s revelations isn’t always perfect, you never stop rooting for Sawyer to figure a way out of her predicament. And she never gives up or stops trying, either — she’s clever and resourceful, and she puts all of her talents to work. Marilyn Ferdinand: Avid thriller fans know that the word “creek” in a film title spells doom for one or more of the movie’s characters. It is that expectation that director Jen McGowan counts on—and subverts—in her sophomore feature, Rust Creek. College senior Sawyer Scott (Hermione Corfield) seems to have the world on a string as she is called to interview for a plum job in Washington, D.C. The Kentucky native packs her car for the drive without telling anyone where she’s going and falls prey to a common annoyance of modern life—her GPS leads her astray. Predictably, she encounters two sinister men as she tries to get her bearings, and flees into a forbidding forest in the Appalachian Mountains, where her struggle to survive will expose her to criminality and corruption. We’ve seen these characters and situations before, but rarely have we been able to see the humanity in both. McGowan and screenwriter Julie Lipson subtly convey the harsh lives and lack of opportunity many rural people face, but also the goodness and hope that keep them going. They are not throwaway people whose anticipated demise gives us some kicks. We come to care about them, and like Sawyer, start to look at what is really important to us in life. This film is scary because it’s real. Sheila Roberts Never trust your satellite navigation system is a powerful lesson learned in the edgy and intense Rust Creek, an independently produced female-centric thriller starring Hermione Corfield, skillfully directed by Jen McGowan and scripted by Julie Lipson. When a young woman falls prey to faulty mapping and takes a wrong turn, she finds herself lost in a lethal landscape populated with dark and dangerous characters. Set deep in the Kentucky forest, this tautly paced and thoroughly engaging film grabs you by the throat from the first frame and doesn’t let go until the last second. McGowan proves herself to be a master at her craft in a largely male-dominated genre. Noteworthy are Jeremy Gordon and Caroline Kiev’s excellent casting and Michelle Lawler’s stunning cinematography. 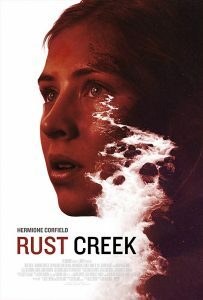 Marina Antunes While it begins like many other lost-in-the-woods thrillers, Rust Creek quickly distinguishes itself from the pack by introducing a “victim” that is neither defenseless nor stupid but rather a woman who finds herself in a bad situation and does everything in her power to survive. Writers Julie Lipson and Stu Pollard reinvigorate the tired genre by setting the film amidst the opioid epidemic giving it a true-to-life urgency that tends to be missing from thrillers of this ilk. Hermione Corfield as Sawyer is a strong heroine we can cheer for but the star of the show is Jen McGowan who directs the film with an eye for the character drama though she does not shy away from the action when necessary. Loren King It’s fitting that Rust Creek opens with a young woman running a track course with long, easy strides, her ponytail flying. College student Sawyer (Hermione Corfield) will not only do a lot of running during this taut survival thriller but will also display brains, stamina and all-around badass attitude. Read full review. Nell Minow: Director Jen McGowan has a genuine feel for place and she gives us a heroine who does not have to be a superhero to be fearless, tough, and determined. 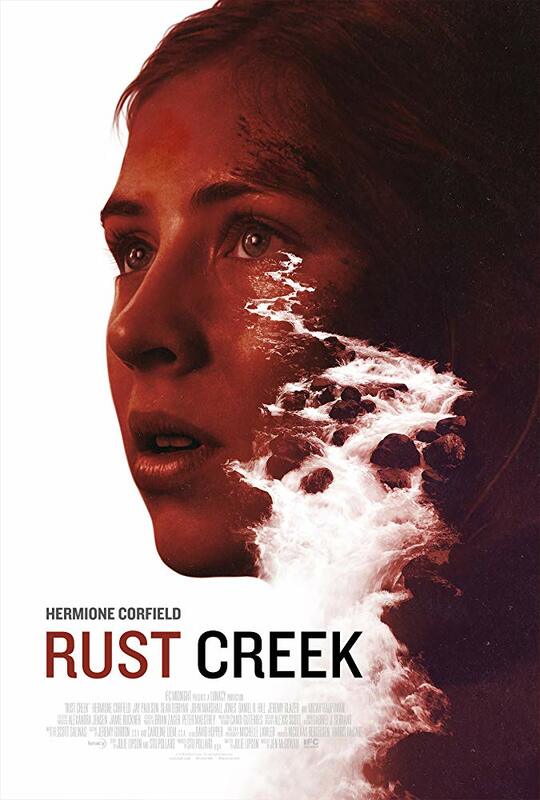 Jennifer Merin Director Jen McGowan’s Rust Creek follows a rather familiar thriller plot line with many predictable turns, yet it is both female-directed and presented from the point of view of a female character — factors that are relatively rare in this mostly male-dominated genre. 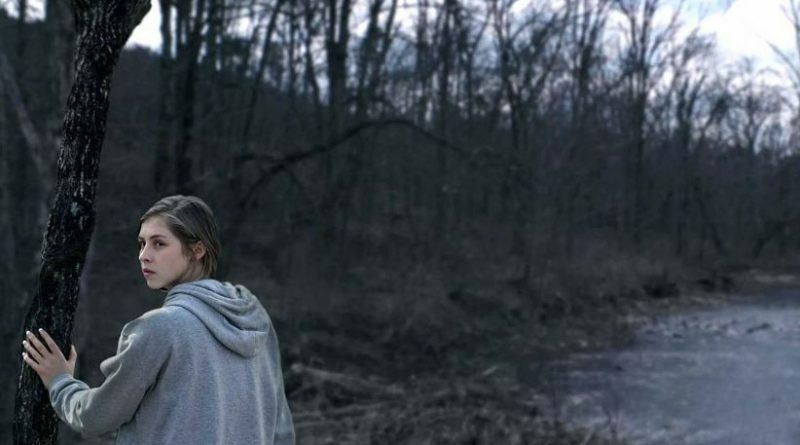 Scripted by Julie Lipson, the film stars Hermione Corfield as a young women who is misguided by her car’s satellite navigation system to a route that’s off the beaten trail and leads her into a dangerous life-threatening encounter with brutal backwoods men intent on doing her and doing her in. She’s challenged to use all of her smarts to elude them and survive. The independently produced film’s perspective is refreshing, as is the fact that many crew members were women. Special praise goes to cinematographer Michelle Lawler, whose stunning camerawork consistently sets us on edge. Cate Marquis Rust Creek is a genre film, aiming just to entertain, and there is no reason women directors can’t make those kinds of films too rather than ones with social commentary. And there is enough there in Rust Creek, largely thanks to the cast, to give the promise of an intriguing crime story – enough to make you frustrated when the film takes wrongs turns. Read full review. Elizabeth Whittemore While the first hour of Rust Creek does have a bit of a pacing issue, the rest of the film most definitely ramps up the tension and delves deeper into the character development of Sawyer (our heroine) and Lowell (the man protecting her). Hermione Corfield gives a strong, even-handed, fully fleshed out performance as a young woman whose drive went way off course. I felt her discomfort as she was approached by two men on the road claiming to want to help. As a woman, I am constantly guarded. I was taught all the same tips and tricks to keep myself safe; keeping my keys between my fingers, trusting my instincts, fighting back. Rust Creek does a brilliant job of giving us a character that is not a victim in practice. She is more along the lines of Ashley Judd in Double Jeopardy or Sally Fields in Eye For An Eye. But, she is not alone. Jay Paulson is no exception. His portrayal of Lowell is just as nuanced and important to this film. These two characters learn from one another in an earnest way. Julie Lipson’s script allows these two very different people to come together in a time of desperation, for both. The very last scene of the film is it’s most powerful. I don’t actually mean the action-laden denouement, which frankly, as a genre watcher was televised during the second half of the plot. I literally mean the final shots of the film. This spoke volumes as to the intent of Rust Creek.